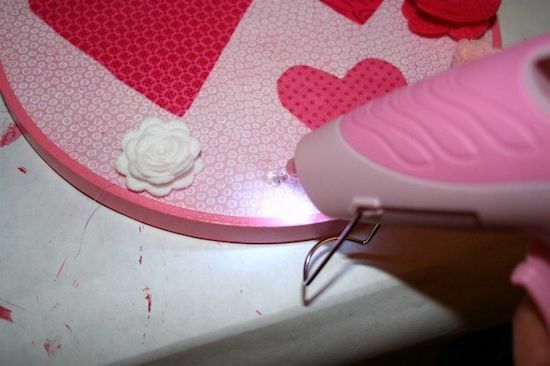 These valentine decorations are SO easy! Use fabric and Mod Podge to create wall art with embroidery hoops. Hang anywhere you like. 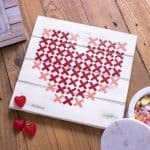 I absolutely love simply valentine decorations! 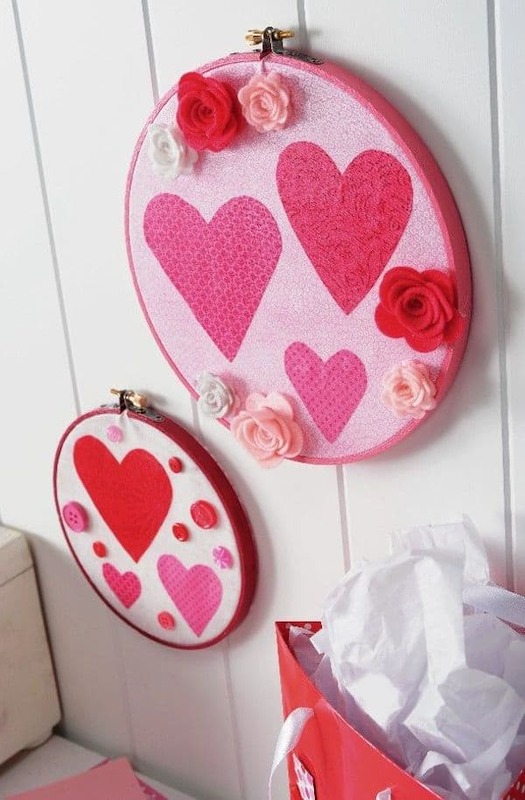 I recently shared this Valentine's Day embroidery hoop wall art hangings at The Idea Room, and I wanted to share them here too . . . in enough time for you to prepare for the big day. 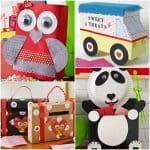 These valentine decorations are perfect if you need some sizzlin' home decor, and the kids can join in. Plus I know that many of you sew; these use scrap fabric. I'm typically a big Grinch-ola when it comes to the day of chalky heart candies and helium balloons, but my heart softened a bit as I was making these. I do believe in love! Making embroidery hoop wall hangings is a snap, and once you start you'll definitely get addicted. To start, gather these supplies. Gather fabric and felt scraps. 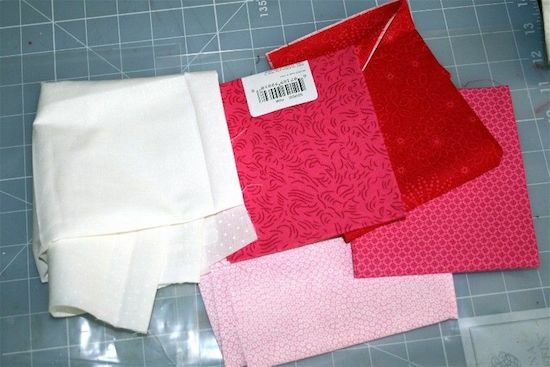 If you don't have any in Valentine's colors, Jo-Ann sells fabric in fat quarters. They are great for crafting with. I wash and dry my fabrics before any project. I guess you don't have to – it's a lesson I learned from sewing camp “back in the day” and I've stuck with it. 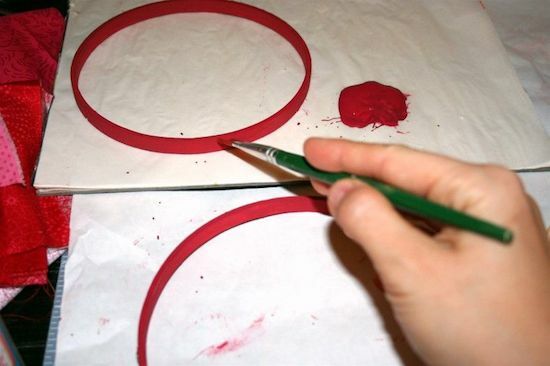 Once the fabric and embroidery hoops are dry, pick two colors for the base fabric. I used my pink and white. Sandwich them in between the embroidery hoops and tighten. 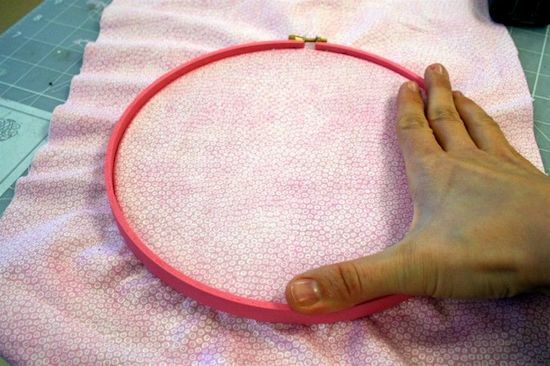 Tip – I use a little craft glue on the inside of the embroidery hoop to make it permanent. Start planning your embellishments – you can see here that I laid out some buttons and flowers I cut from felt. If you have a Sizzix Big Shot, I used the 3-D flowers by Beth Reames. 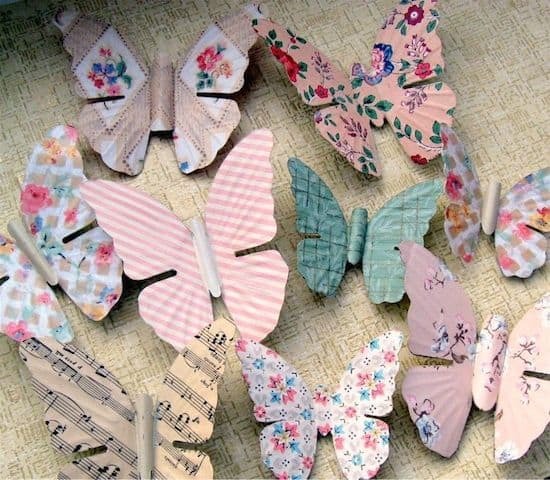 If you don't, never fear – you can cut felt flowers using patterns and/or templates you find on the internet. Search for “felt flowers template” in Google and you'll find tons of awesome results. 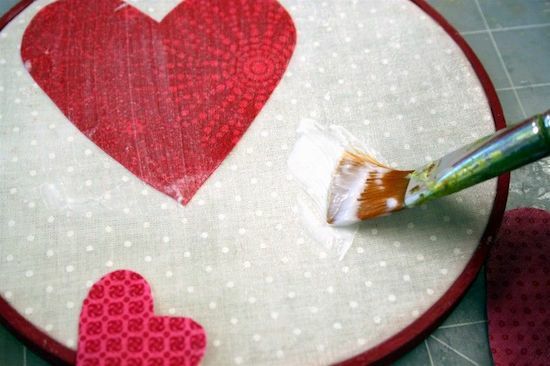 Want another Valentine's Day project you can hang on the wall? 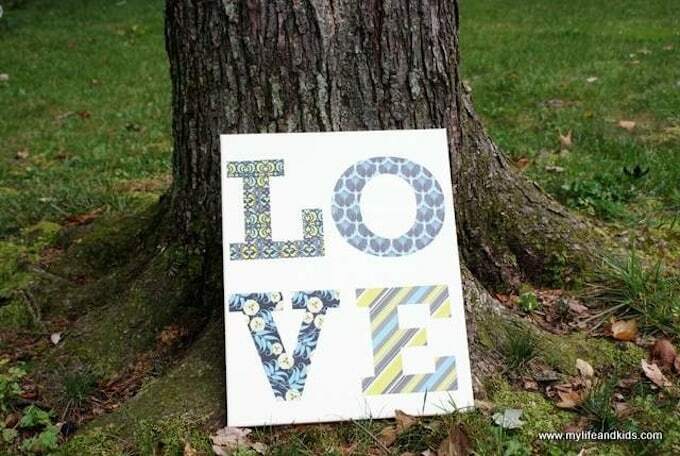 Try this Pottery Barn knock off love canvas! 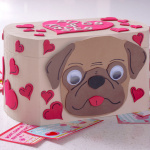 Ready to get more ideas for valentine decorations? Visit some of my friends below for tutorials! They are so pretty! What a wonderful display for “V” day! Got some hoops thrifting last week. Can’t wait to try this. Thanks so much for sharing. these look great. wonderful vday idea. Thanks for this great tutorial! I learned several things – somehow didn’t know about prepping fabric to avoid fraying, I wouldn’t have thought about adding glue around the hoops for permanence, and also wouldn’t have thought about Googling “felt flowers template”! You are a wealth of creative knowledge and general ju-ju, Amy! Well done! Those are adorable. 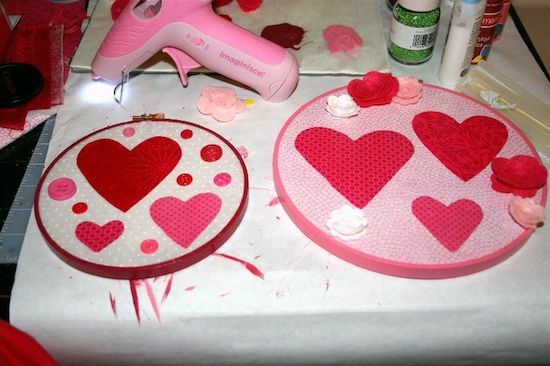 What a great idea to decorate for Valentine’s Day! Very pretty! 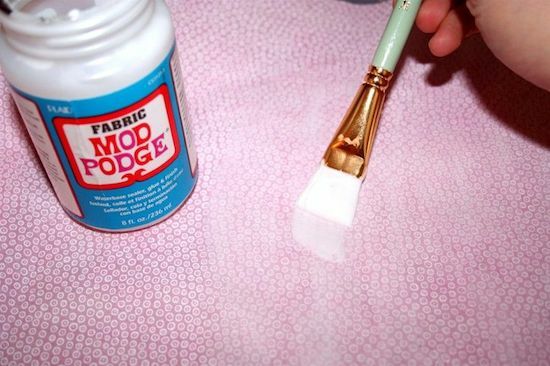 Thanks for the idea for using the fabric Mod Podge in a way that prevents fraying. 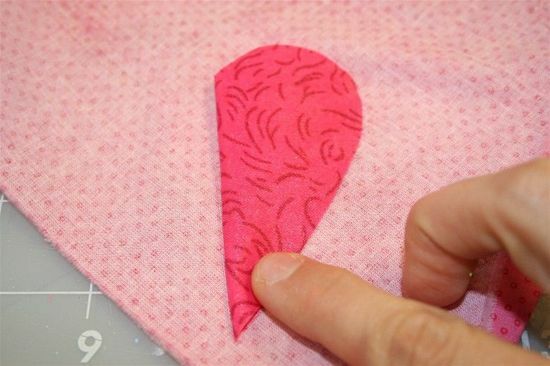 With this tip, fabric can be used as easily as paper because you no longer have to worry about what the edges will do. This is such a great idea! Would make a wonderful gift for my mother in-law in her sewing room. 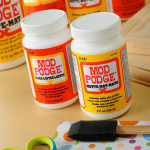 I mod podge pictures a lot- add some pictures of the grand kids and she will LOVE IT! THanks so much for the great idea! Amy these are sooo fun & pretty! I love that you could recreate this for any decor or holiday! But I’m pretty partial to all the pink! ha! Thanks for sharing & linking up to Monkey’n Monday! You Rock! great tutorial, great idea, like it very much..